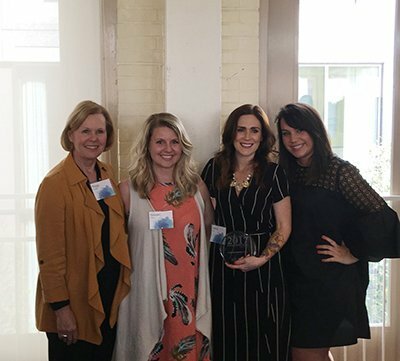 CJMW Interior Design Studio’s work at Greensboro’s Morehead Foundry was recognized by IIDA Carolinas in the organization’s annual DesignWorks event. 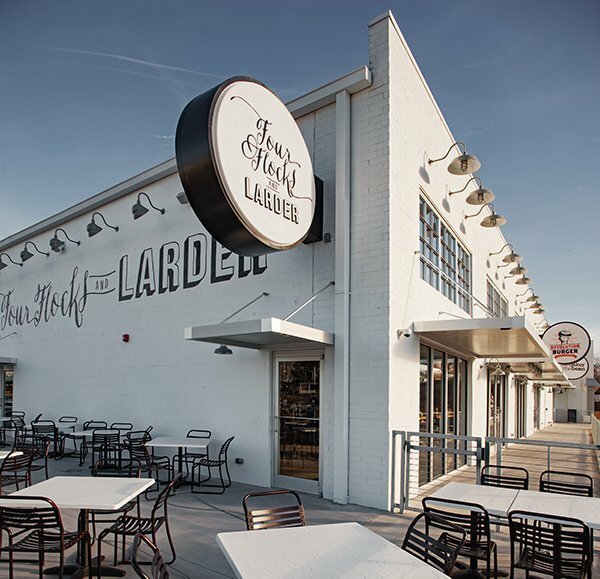 Developed by Lee Comer and her Fresh.Local.Food Group, Morehead Foundry is a unique combination of venues all contained in a beautiful former warehouse building. 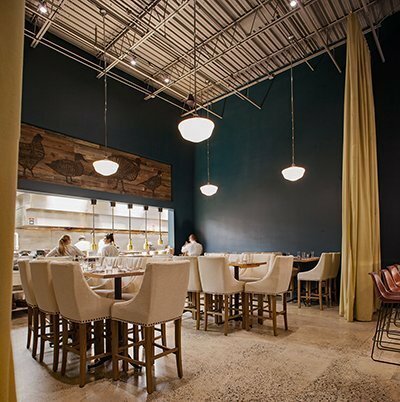 The jury noted the “smart use of elements to create comfortable, intimate zones” and that the restaurants “speak Farm to Table in an urban setting”. The project won an Honorable Mention in the Hospitality category. 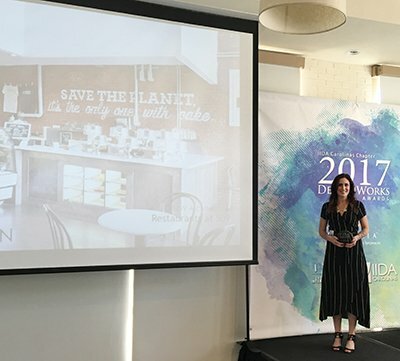 Lead designer, Ashley Coe, accepted the award for the team; a group of us was there to cheer her on. The event was fabulous – we saw some old friends, made some new ones, and had a great time! Thank you, Fresh.Local.Food Group and IIDA!